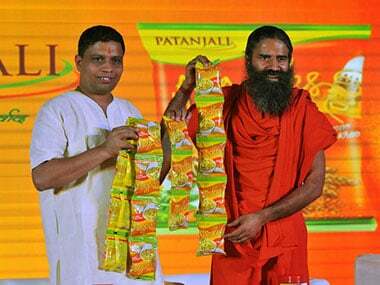 FSSAI chairperson Ashish Bahuguna had stated that no approval or licence was granted to Patanjali for its instant noodles, and for instant noodles companies needed to take prior approval. 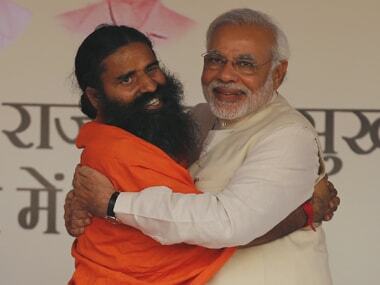 Ramdev termed Modi as "vikas-purush" (man of development) and said that Bihar Chief Minister Nitish Kumar's comparison with him is "not logical". Calling himself a not-for-profit manufacturer of domestic products, the yoga specialist cleverly made the whole thing look like a domestic versus foreign issue. 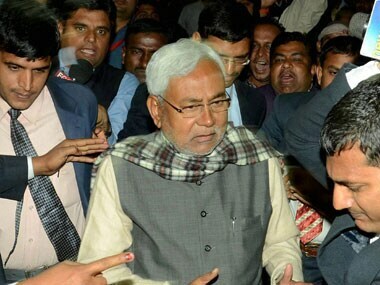 Slamming Narendra Modi on his completing one year in office, Bihar Chief Minister Nitish Kumar has said the only remarkable thing during the period was that prime minister has more selfies than all his cabinet colleagues put together. The BJP government in Madhya Pradesh ordered medicine dealers not to supply Ramdev's controversial 'Putrajeevak Beej' drug until its name is changed. 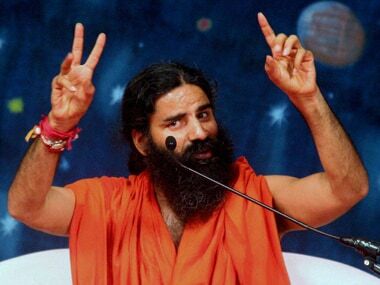 Amid the controversy over a purported ayurvedic product by yoga guru Baba Ramdev's Divya Pharmacy promising male child, Union Consumer Affairs, Food and Public Distribution minister Ram Vilas Paswan on Friday said the Union Health minister has asked for looking into the matter. 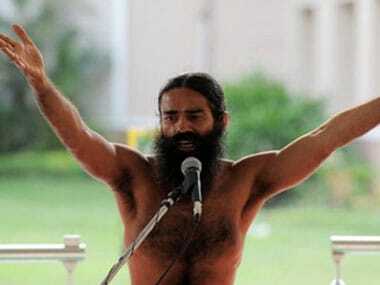 Ramdev, in a press conference which turned unique, made a statement on the uproar created in the Parliament over his 'Putrajeevak Beej' medicine. 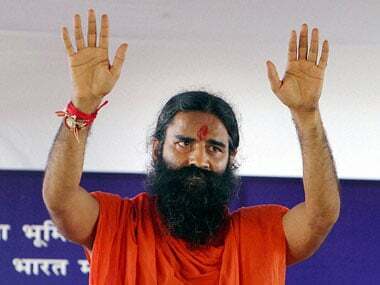 A demand to ban a purported ayurveda product by yoga guru Ramdev's Divya Pharmacy that promises a male child was made in Rajya Sabha on Thursday. 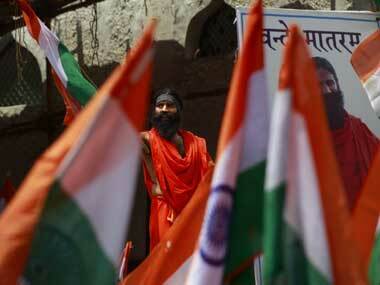 Ramdev's Patanjali Yogpeeth bought 706 tonnes of red sanders for Rs 207 crore. Yogpeeth uses red sanders to make Ayurvedic medicines and sometimes uses the wood essence in incense sticks.